I saw this superglue ad on ettf and thought it was pretty amusing. Oh, if only the UN could invest in a bit of rubber cement or Scotch tape and patch up the world! Anyway, while I've got this great big pic of the Koreas up here, I figured I'd toss you 3 Crazy Reasons to Visit the Demilitarized Zone (the 155 mile-long, 2.5 mile-wide demarcation territory between North and South Korea) culled straight from our last issue's A Few Good Reasons to Vacation in North Korea feature. 1. EXTREME BIRDWATCHING! (AND GOLF): Heavily mined, baricaded, and patrolled from both sides, the Zone is essentially a no-man's land. However, it is home to several formerly endangered species of birds, now safely tucked away from human contact. Better yet, you can view these amazing creatures as part of your guided tour of the DMZ. Seriously. 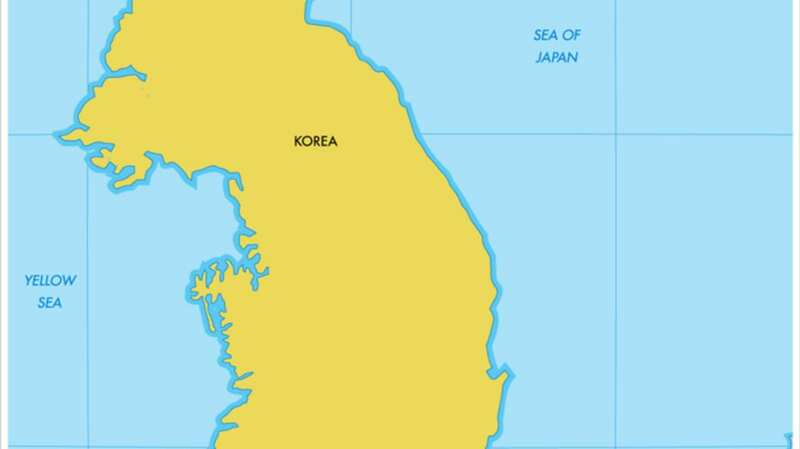 Both the North Koreans and the South Koreans sponsor Zone tours. Not much of a bird enthusiast? Squeeze in a round of golf on the Joint Security Area's self-proclaimed "World's Most Dangerous Golf Course. " But amateurs beware: Landing in the rough can mean treading through live mine fields! 3. DIG A TUNNEL. Throughout the 1970s and 1980s, North Koreans spent a lot of time tunneling under the DMZ and into South Korean territory. The largest of these tunnels, the Third Tunnel of Aggression, was discovered in 1975 and extends a mile into South Korea. U.S. military experts estimate that it could have funneled some 10,000 troops and vehicles across (or, rather, beneath) the border in just an hour. Today, the South Korean government runs 'round-the-clock tunnel detection teams (that reportedly include a few psychics) to keep the North from doing any more of what it called "coal mining. " You can even tour the Third Tunnel of Aggression if you like, but only from the South Korean side.